A Nevada politician has introduced a bill that would bar the city of Las Vegas from enacting tougher gun laws than the state as a whole, including language that would specifically protect "machine guns" from being barred on the Las Vegas strip if the legislature did not bar machine guns across Nevada -- and it is tied to the American Legislative Exchange Council (ALEC). At the last known meeting of ALEC's "Public Safety and Elections Task Force," a lobbyist for the National Rifle Association proposed amendments to the ALEC "Consistency in Firearms Regulation Act" to add "machine guns" to ALEC's model bill prohibiting local governments from adopting different rules for guns and ammo than a state has as a whole. On March 18, a Nevada state legislator introduced a bill in the statehouse that is almost a word-for-word copy from that ALEC bill, which ALEC has since attempted to distance itself from while doing nothing to stop or repeal such bills. A complete side-by-side can be viewed here. Blocking Cities from Barring "Machine Guns" and Cop-Killer Bullets? The Consistency in Firearms Regulation Act has been an ALEC "model bill" since at least 1995. It is a form of state pre-emption legislation prohibiting local units of government -- cities, counties, or municipalities -- from regulating or banning guns in their communities in any way that is tougher or different than the state as a whole. Such legislation would largely permit legislators from a state's rural areas to trump city efforts to impose tougher gun rules. The bill also prohibits local governments from bringing lawsuits against gun and ammunition manufacturers. Local control has traditionally been regarded as a "conservative" principle, but ALEC has a number of state preemption bills to prohibit communities from protecting their own health and welfare -- see, for example, ALEC-led efforts to prohibit locally-owned internet. Versions of the ALEC/NRA Consistency in Firearms Regulation Act have passed in at least 38 states. At ALEC's December 2011 States & Nation Policy Summit in Arizona, the NRA brought to ALEC a new set of amendments to the model bill that would, according to the amendment language, specifically ban cities from prohibiting "machine guns" and "submachine guns," as well as prohibit local governments from regulating the sale of ammunition (with no exception for armor piercing ammo or other particularly deadly ammunition), or accessories like high-capacity clips. The bill also gives private individuals the right to sue if they believe a local government rule, regulation, or ordinance violates the state law. It is not clear why the NRA felt emboldened to add this broader language in 2011, when it had not included the language in the initial 1995 proposal, and did not add it when it was reaffirmed in 1999 (when Koch Industries chaired ALEC's Private Enterprise Board). The NRA's proposed amendments were approved "unanimously" by the ALEC Public Safety and Elections Task Force on December 2, 2011, according to the minutes of the meeting. Most of these amendments are echoed nearly word-for-word in Nevada's proposed AB 340 -- from the new statement of purpose, to the definitions of firearms and ammunition, to provisions for a private right of action. 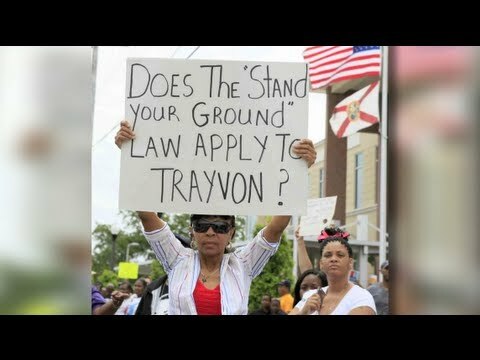 In the wake of controversy over its role in promoting NRA-sponsored "Stand Your Ground" laws similar to the one initially cited to protect Trayvon Martin's killer from arrest, ALEC announced it was disbanding the Public Safety and Elections Task Force in April 2012. Despite this PR maneuver, at ALEC's annual meeting at Salt Lake City in summer 2012, the NRA had the biggest booth in ALEC's convention hall and continued to host its annual shooting event for ALEC legislators and lobbyists, with guns, ammo, and barbecue provided. The July 2012 event was co-sponsored by Browning Arms Company, whose foreign parent company is one of the world's largest sellers of machine guns, as noted by CMD in its coverage of ALEC's convention. Last week, ALEC pulled another PR stunt to try to repair its image. It is trying to disavow bills it has promoted for years -- like the "Stand Your Ground" (also known as the Castle Doctrine bill or the Shoot First law) and the Consistency in Firearms Regulation Act -- and for the first time in its forty year history, is posting some of its model bills on its website. ALEC's new spokesperson Bill Meierling has claimed that "If it is not on our website, it is not our policy." Despite what ALEC says publicly, ALEC bills like the Consistency in Firearms Regulation Act continue to spread across the country, without regard for whether ALEC has chosen to post the legislation on its website. And the Consistency in Firearms Regulation Act and hundreds of other ALEC bills, such as Stand Your Ground and Voter ID, remain on the books in states across the country, and continue to adversely affect the lives of numerous Americans. Meanwhile, ALEC has taken no apparent steps to repeal ill-conceived laws that were adopted at its behest or to oppose bills like Nevada's bill to thwart any future efforts to keep machine guns off the Las Vegas strip. ALEC zombie legislation it embraced for years, if not decades, continues to live on unchanged and unchallenged by ALEC's effort to whitewash its record. The Center for Media and Democracy's Executive Director, Lisa Graves, contributed to this report. She formerly served as Deputy Assistant Attorney General in the Office of Legal Policy at the U.S. Department of Justice, where she handled gun violence prevention policy, among other issues. Submitted by Phil (not verified) on April 21, 2013 - 4:51pm. the part you people seem to be missing is that some rounds by their very nature are armor piercing. there is already a ban on armor piercing rounds. but 30-06(one of the most common rounds in the US) will go through body armor and it's NOT armor piercing. Class 3 weapons(machine guns) are legal in NV, so whats the problem? ALEC and the NRA= gun and ammo manufactures. Submitted by Anonymous (not verified) on April 3, 2013 - 3:10pm. How can we stop legislation being done by ALEC and the NRA? Submitted by Ron Rabatsky (not verified) on March 23, 2013 - 11:06pm. Excellent post Brendan. ALEC is trying to lull us into complacency, but reporting like this keeps us on our toes. Submitted by Ed (not verified) on March 22, 2013 - 4:13pm.
" any device which is designed to ... expel a projectile through the barrel by the action of an explosive"
Cop-killer bullets, are you kidding me? Submitted by Anonymous (not verified) on March 22, 2013 - 8:16am. 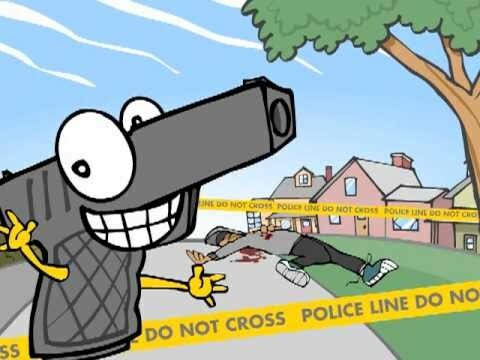 There is no such thing as cop-killer bullets, unless of course you mean any bullet fired at a cop. There is no kind of bullet that just kills police. I think the bullets you are referring to are hollow point bullets, which the cops themselves carry. I know this is just your little patch of the web to spew your rhetoric, but this is just too stupid to let go. Submitted by Lisa Graves on March 22, 2013 - 1:51pm. Your baseless assertions give us an opportunity to make it clear that what is misleading, on your part, is telling the public there is no such thing as armor-piercing bullets (the more widely known name for the popular name referenced in the article because the bullets are preferred by some for their capacity to pierce the body armor of police). Plainly, such bullets exist and plainly the ALEC/NRA legislation would not permit a city to bar their use. Next time you comment on one of our articles, we'll expect you to cite actual facts or you can expect it to be deleted for being baseless. Submitted by TheHorta (not verified) on April 9, 2013 - 11:47pm. Armor Piercing (AP) rounds are strictly prohibited and regulated by the BATFE and can not be legally acquired. The BATFE definitions governing AP ammo are very specific. Therefore, PRWatch, you are the errant party here, to my understanding. A quick pass at the BATFE regulations covering AP ammunition would reveal this. Google can help you out here. Also, if you happen to be one of the fortunate few who legally own a "machine gun" you are also one of the most highly-investigated and scrutinized citizens in the entire country. Your entire life history has literally been put under a microscope to a level most of us will never endure. It also indicates that you are financially a cut-above, as a genuine machine gun can sell for tens or even hundreds of thousands of dollars -- per gun. Submitted by Lisa Graves on April 22, 2013 - 5:49pm. Despite the long-time bans on civilian ownership of machine guns and armor piercing bullets, the NRA used the ALEC process to secure the ratification of "model" bills that would bar cities from banning "machine guns" and any type of bullet, regardless of how deadly or dangerous. So, your complaint is really with the NRA and the ALEC corporations that went along with the NRA's wish list and continued to fund ALEC for many years even though the shared ALEC/NRA gun agenda was well publicized among ALEC public and private sector members. Regardless of the federal or state laws barring certain types of guns or ammo, the NRA has worked for years to strike down or repeal or preempt laws it does not like, and ALEC has filed legal documents in support of the NRA's effort, as with the DC gun ban in the Heller case. So, it seems that the NRA' vision of what might become possible (such as the availability of machine guns) was different from what was allowed at the time it sought laws to expressly bar cities from banning things like, expressly, machine guns and restricting types of ammo, through ALEC's bill mill. ALEC, however, is continuing its efforts to try to distance itself from its decades of support for the NRA's agenda (the NRA even co-chaired ALEC's Public Safety and Elections Task Force, also known as its crime or criminal justice task force, for years). ALEC wants to make sure the public knows it disbanded that task force about a year ago and that those bills are not its current "policy." But, ALEC has done nothing demonstrable to undo to the damage done by its decades of peddling the NRA's agenda and urging that its bills become law. There is no public indication that it has called for all those bills to be repealed or put the same amount of effort into getting them repealed as it put into helping its former "partner" get them made into law. "Hough told listeners that ALEC worked 'with our partners, the National Rifle Association' on the brief [in the Heller/DC case]. 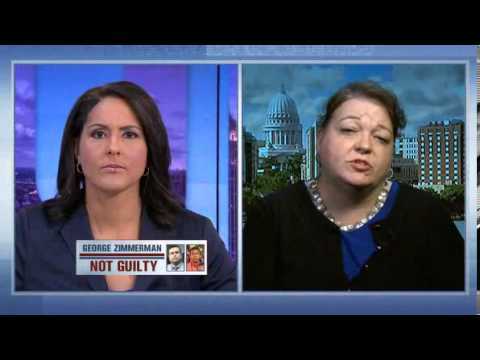 'Some of the things that we were pushing in states was the 'Castle Doctrine,' we worked with the NRA on that. That's one of our model bills we have states introduce and another one was the Emergency Powers legislation, which was enacted in a couple states . . . .'"